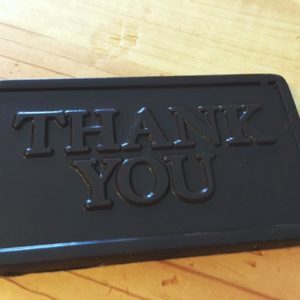 There’s no better way to say “Thank You” than to do it with chocolate. These 1 oz. 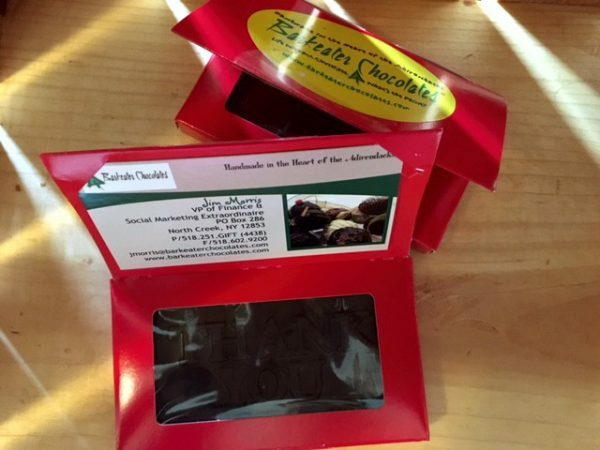 bars come in either solid milk or solid dark chocolate & are fashioned in a business card sized box – perfect for adding your own business or gift card. 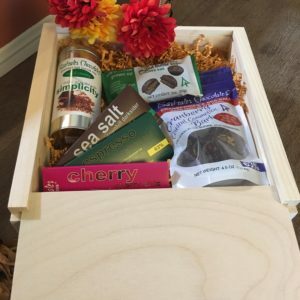 Decadent Thank You bars are the perfect gift at weddings, corporate events or even in stockings at the holidays. This product comes in bulk only – 24 bars to a box. 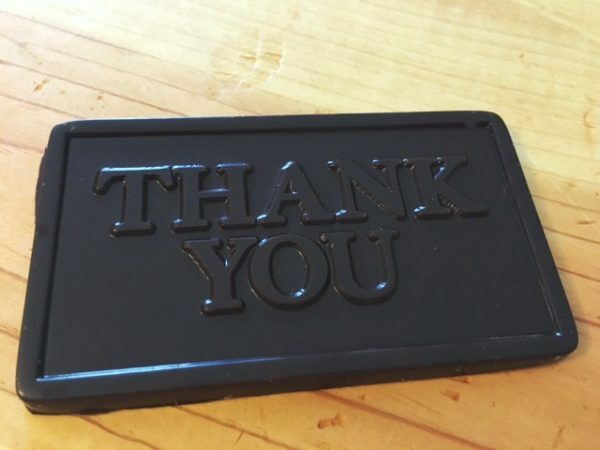 There’s no better way to say “Thank You” than to do it with chocolate. These 1 oz. bars are solid milk chocolate & are fashioned in a business card sized box – perfect for adding your own business or gift card. 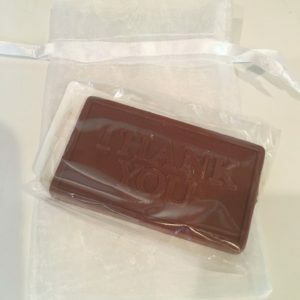 Decadent Thank You bars are the perfect gift at weddings, corporate events or even in stockings at the holidays. 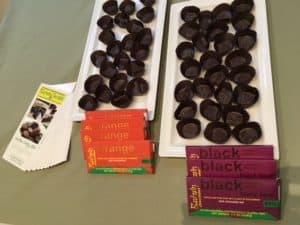 This product comes in bulk only – 24 bars to a box.